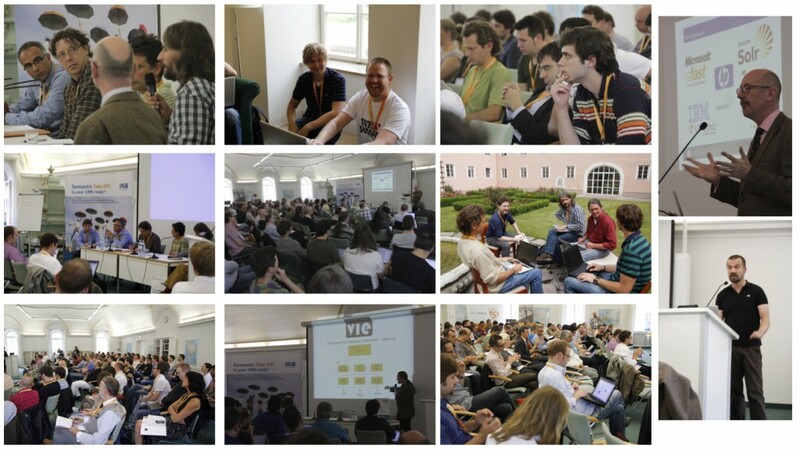 The 7th IKS workshop took place in Salzburg on 12-13 June 2012. More than 100 experts and professionals gathered in Salzburg to discuss and demo semantically enabled technologies for the enterprise. The two-day event took the format of demonstrations on the first day and exploration of the IKS technologies behind the demos on the second day. The demonstrations were predominantly by early adopters of IKS technology; both the back-end enhancement tools of Apache Stanbol and the UI interaction framework VIE & VIE Widgets were on display. While we wait for all the presentations to be made available and finalisation of the video recordings – I take this opportunity to point you to a selection of the presentations that are available.